The IDJ Corporation supports and complies with the Kimberley Process (KP), which is a global system of audits that tracks and certifies the ethical sourcing of diamonds. 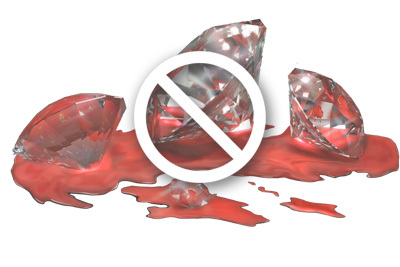 The US Customs Service actively enforces the KP requirements as diamonds enter American ports. More information can be found at http://www.kimberleyprocess.com. Diamonds that are consigned or invoiced to you from our company have been purchased from legitimate sources not involved in funding conflict and in compliance with UN resolutions. The I.D.J. Corporation hereby guarantees conflict free diamonds based on personal knowledge and/or written guarantees provided by our suppliers/manufacturers of these diamonds.